Fill out the form below or call (312) 313-0305 to get in touch with our team! We provide compassionate and aggressive representation on behalf of injured parties due to the negligence of others. When you are injured in an accident, the last thing you should have to worry about is whether or not there will be money to cover the expenses of recovery. Since 2005, the team at Panio Law Offices has helped clients to fight for fair compensation following a serious injury. You do not have to fight your case alone. Attorney Christopher Panio has earned a reputation as an aggressive Chicagoland personal injury lawyer dedicated to obtaining the best outcomes possible. With a 9.6 Superb Avvo Rating, he has proven his ability to reliably advocate for those in need. Panio Law Offices offer free consultations, so call today and get started on establishing your case and ensuring your future is protected. Unfortunately, insurers and businesses are all too happy to shift the blame elsewhere following an accident. Victims who rely on honest and fair business practices are unpleasantly surprised to find themselves stuck with the full cost of recovery for an injury they did not cause. You need the help of someone with experience. 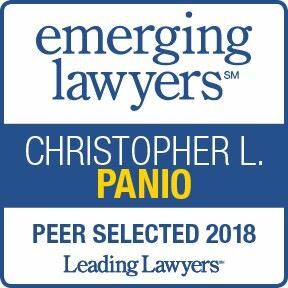 Attorney Christopher Panio was rated “Best Lawyer in Chicago” in 2015 by Thumbtack and is included in the Top 100 Trial Lawyers in the nation by The National Trial Lawyers Organization. Let our firm help you obtain the funds you need to recover in peace. Call today and schedule your free consultation. The foundation of our law firm's success is the quality relationships that we develop. We have offices in downtown Chicago and a south suburb, Homewood. We have a proven track record of winning and settling cases for maximum compensation. We are able to handle complex cases. You will always work directly with the attorney. Since 2005, Attorney Christopher Panio has proven his ability to aggressively and reliably advocate for his clients. Our firm understands that this moment in your life is both scary and emotional, which is why our team takes the time to fully understand the case and provide a strategy that can help you obtain the best outcome possible. 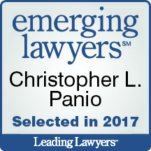 As a member of The National Trial Lawyers’ Top 100 Trial Lawyers and Top 40 Under 40, Mr. Panio offers a long history of winning and settling cases for his clients. By having an experienced Chicagoland personal injury lawyer on your side, you can enjoy the peace of mind that comes from knowing you have a capable ally. Call Panio Law Offices today and schedule your free, confidential consultation. There are no out-of-pocket expenses and no fee earned unless there is a recovery. Get started with a case evaluation today.